Los Angeles, CA (November 29, 2016) ¬– SCI-Arc is proud to announce a full-tuition scholarship for current Los Angeles Unified School District (LAUSD) students. This scholarship is intended for first-year freshman, and is merit-based. It will be awarded for the 2017-2018 year, and can be extended to cover all 5 years of tuition, provided the student remains in the top 10% of their class. Applications are currently being accepted online, and are due by January 15, 2017. SCI-Arc, located in the Arts District of Downtown Los Angeles, is one of the nation’s only independent schools of architecture. With 500 students (250 of them undergraduates), it is a hub of public discourse, new technology, and speculation about the future of our great city and beyond. The SCI-Arc Undergraduate Degree (B.Arch.) is an accredited 5-year professional degree allowing graduates to become licensed professionals. While the curriculum is focused on creativity and design excellence, we are also committed to a broad liberal arts education. The role of the architect in the 21st century has changed from one of technician and administrator to leader of large groups of professionals, stakeholders, and creative teams. Now more than ever, architects need to be able to think critically, argue their positions, and express their visions in a wide variety of contexts. Our liberal arts education– which includes art history and theory, film history and theory, philosophy, new forms of science and models of nature, contemporary civilization and geopolitics, and rhetoric/ debate– prepares students for this new, broader role in society. The mission of the SCI-Arc undergraduate education, through this combination of design excellence and the liberal arts, is to create students who will be the intellectual leaders of their generation. Graduates of the SCI-Arc Undergraduate Program are highly sought-after, both by architectural offices around the world, as well as by the world’s best graduate programs. The Program is ranked #2 in Undergraduate Programs Most Admired by Deans and Chairs in the 2017 DesignIntelligence survey. Seniors interested in applying to SCI-Arc’s LAUSD Full-Tuition Scholarship must be graduating in the summer of 2017 from a LAUSD High School. The student must apply before the January 15, 2017 deadline. There are no additional documents required other than a completed admissions application. A portfolio of work may be submitted but is not required. The review committee is looking for an exceptional LAUSD student who is highly motivated and committed in pursuing architecture. The LAUSD Scholarship winner will be announced in March 2017. If you have any questions about the scholarship please contact the Office of Admissions at 213.356.5320 or by e-mail admissions@sciarc.edu. Los Angeles, CA (September 20, 2016) – SCI-Arc is pleased to announce, Metrophysics, an exhibition by Michael Sorkin Studio and Terreform opening October 21 in the SCI-Arc Gallery. 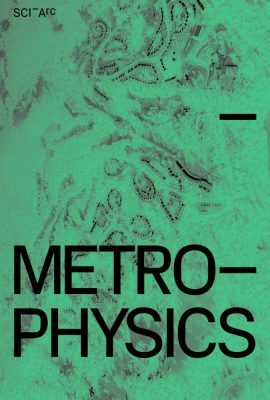 Metrophysics foregrounds projects rooted in the urban, including buildings and sites designed with both practical and polemical intent. The work is from a team that operates as both a “traditional” architectural studio responding to clients, and as a research practice that formulates its own agenda of investigation and intervention. 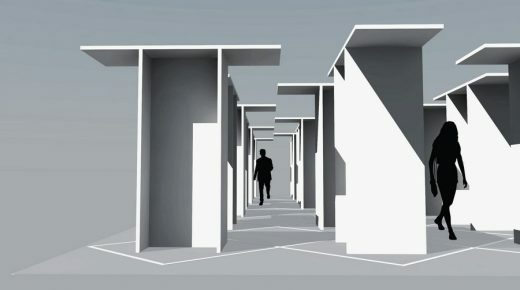 Discoveries are passed back and forth and what Terreform has learned over the years from New York City (Steady) State – an elaborate speculation meant to determine just how autonomous our city can become – informs “official” projects Sorkin Studio has undertaken in Wuhan, Xi’an, or Istanbul and vice versa. All, however, test the limits of physical design to serve and enlarge broader human and planetary needs and desires and to represent ideas about happiness. 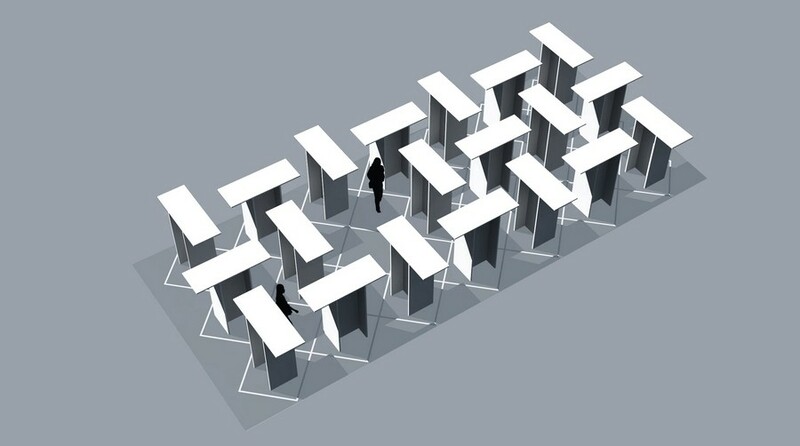 In 2005, Michael Sorkin Studio underwent a mitosis with the founding of Terreform. Given a long history of polemical and activist work in a variety of registers, including design, advocacy, and writing – there’d been a long simmering desire to find a form of practice that was more transparent with the non-commercial – even utopian – projects and ambitions that engaged us. Not wanting to give up the prospect of “ordinary” building, however, we formalized the conceptual split into a “straight” architectural practice and an organization doing research, unsolicited interventions, publishing, and propositions. The studio works in a single spirit with a focus on questions of city, on its morphology, systems of equity, and metabolic behavior. Each side serves as the lab for the other but we’re all on the same page: the iron fiscal curtain between the two entities is a membrane that’s completely porous to ideas. SCI-Arc is pleased to announce its fall 2016 series of public events. SCI-Arc public lectures this coming fall will introduce speakers from a broad cross-section of today’s most exciting practitioners, including Amale Andraos, Preston Scott Cohen and Enrique Norten, among others. 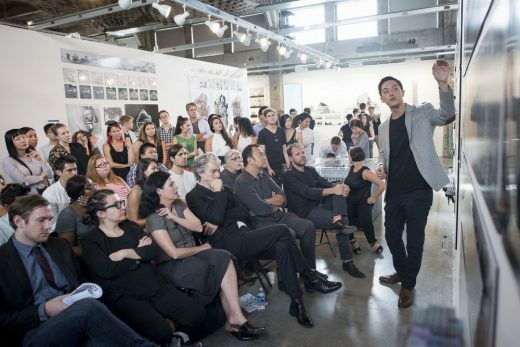 The lecture series is complemented by several exhibitions: a group show of the thesis projects from this year’s graduating class including the winner of the Gehry Prize, a site-specific SCI-Arc Gallery exhibition by Michael Sorkin in collaboration with Terreform and a series of artifacts, drawings and photographs curated by Victor Jones. Admission to SCI-Arc-hosted public events and exhibitions is always free and open to the public. 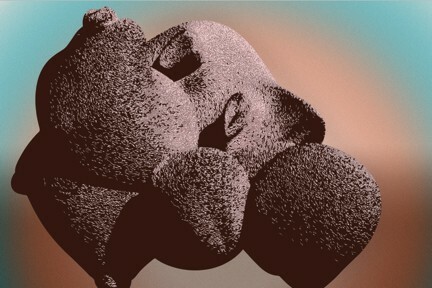 Visit http://sciarc.edu/events/ for more information about upcoming lectures. All events begin at 7pm unless otherwise noted. Lectures take place in the W. M. Keck Lecture Hall and are broadcast at www.sciarc.edu/live. 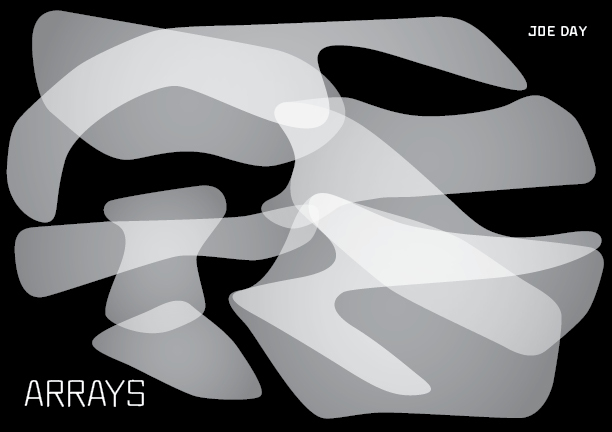 Gallery opening receptions are held in the SCI-Arc Gallery & Kappe Library Gallery spaces. SCI-Arc’s annual Graduate Thesis Weekend will take place September 9-11, 2016 on the SCI-Arc campus in downtown Los Angeles. The 3-day series of thesis reviews is followed by an all-school graduation ceremony on Sunday, September 11, 5-7pm, featuring alum Brendan MacFarlane (B.Arch ’84) as commencement speaker. curator and emergent scholar in the field of architecture, art and technology. future of architecture and design. Sianne Ngai is Professor of English at Stanford University. Her books are Our Aesthetic Categories: Zany, Cute, Interesting (Harvard University Press, 2012), winner of the Modern Language Association James Russell Lowell Prize; and Ugly Feelings (Harvard University Press, 2005). Sections of both books have been translated into Swedish, Italian, German, Slovenian, Portuguese, and (forthcoming) Japanese. Ngai was a Fellow at the Wissenschaftskolleg zu Berlin and has taught at the Cornell School for Criticism and Theory. In 2015 she received an honorary D. Phil in Humanities from the University of Copenhagen. 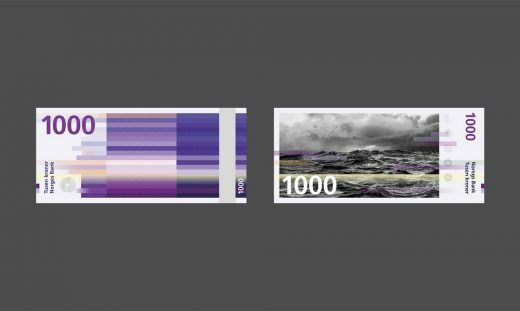 Ngai’s current project explores the gimmick as a capitalist aesthetic category encoding a contradictory relation to labor and time. Extending Ngai’s previous work on the historical significance of the rise of equivocal aesthetic categories (such as the merely ‘interesting’) and with an eye to the special difficulties posed by the very idea of an aesthetics of production (as opposed to reception),Theory of the Gimmick explores the uneasy mix of attraction and repulsion produced by the gimmick across a range of forms specific to western capitalism. These include fictions by Mark Twain, Joris-Karl Huysmans, Villiers de L’Isle-Adam, and Helen DeWitt; twentieth-century poetic stunts; the video installations of Stan Douglas; reality television; and the novel of ideas. Mira Henry is a designer and an educator. She holds a Bachelors in Art History from the University of Chicago and a Masters of Architecture from UCLA. She is the recipient of the Henry Adams AIA Award and Archiprix International Gold Medal for her Master’s research project “Urban Upholstery”. She is faculty at Southern California Institute for Architecture (SCI-Arc). Prior to teaching she worked as a project architect for Office dA and Monica Ponce de Leon Studio in New York. Henry is principal of Henry Architecture (HA), an office based in Los Angeles committed to the double interest in text and effect, in the conceptual and the material and in the status of the architect as cultural producer and service provider. Ellie Abrons is an architectural designer and educator and the principal of EADO. She is Assistant Professor at the University of Michigan’s Taubman College of Architecture and Urban Planning, where she was the A. Alfred Taubman Fellow in 2009 – 2010. Her work focuses on material experimentation and reuse, digital fabrication, and explorations of formal allusion. Abrons received her Masters of Architecture from the University of California Los Angeles, where she graduated with distinction, and her BA in art history and gender studies from New York University. Abrons is the recipient of a residency fellowship at the Akademie Schloss Solitude in Stuttgart, Germany and her work has been exhibited at the Venice Biennale, Storefront for Art and Architecture, A+D Gallery and the Architectural Association. An exhibition of Abrons’s work, entitled Inside Things, was recently shown at SCI-Arc in Los Angeles and she is a contributor (as part of T+E+A+M) to the US Pavilion at the 2016 Venice Architecture Biennale. Hernan Diaz Alonso assumed directorship of SCI-Arc in September 2015. A faculty member at the school since 2001, he has served in several leadership roles including Coordinator of the Graduate Thesis program from 2007-2010, and Graduate Programs Chair from 2010 – 2015. He has been widely credited with spearheading the transition of SCI-Arc to digital technologies, playing a key role in shaping the school’s graduate curriculum. In parallel to his role at SCI-Arc, Diaz Alonso is Principal of the Los Angeles-based Xefirotarch, a multidisciplinary practice praised for work at the intersection of design, animation, interactive environments and radical exploration of architecture. A gifted educator, he has been acknowledged throughout the years with prestigious appointments such as Yale University’s Louis I. Kahn Visiting Assistant Professorship of Architectural Design in 2010, Visiting Design Studio Faculty at Columbia GSAPP from 2004-2010, and an ongoing appointment in the Urban Strategies Postgraduate Program at the University of Applied Arts Vienna. In spring 2015, he served as Yale University’s Eero Saarinen Professor of Architectural Design. Martin Gran is partner and Managing Director in Snøhetta Brand Design. Prior to this, he was Scandinavian Design Group’s New Business Director and Strategic Advisor, responsible for major brands in Europe and the Nordic region. In 2006 he worked at McCann Erickson New York with clients like Master Card and Air Canada. He began his career at Leo Burnett Insight in 1998 as a Strategic Planner. From 2000 to 2003, Martin was a Director at Leo Burnett Advertising Agency. Snøhetta began as a collaborative architectural and landscape workshop, and has remained true to its trans-disciplinary way of thinking since its inception. The firm’s work strives to enhance our sense of place, identity and relationship to others and the physical spaces we inhabit, whether feral or human-made. Museums, markets, reindeer observatories, landscapes and dollhouses get the same care and attention to purpose. Kai-Uwe Bergmann is a partner at BIG who brings his expertise to proposals around the globe, including work in North America, Europe, Asia and the Middle East. Kai-Uwe heads up BIG’s business development which currently has the office working in 20 different countries as well as overseeing BIG’s Communications. 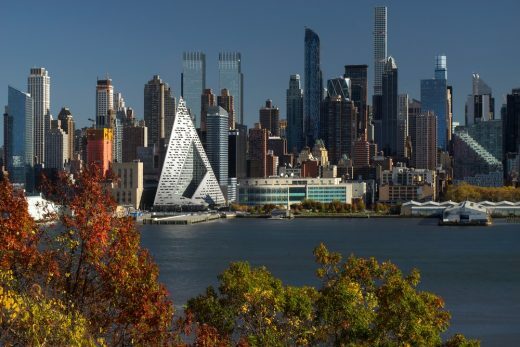 Registered as an architect in the USA (eight states), and Canada (one province), Kai-Uwe most recently contributed to the resiliency plan BIG U to protect 10 miles of Manhattan’s coastline. He complements his professional work through previous teaching assignments at University of Pennsylvania, University of Florida, IE University in Madrid and his alma mater the University of Virginia. Kai-Uwe also sits on the Board of the Van Alen Institute, participates on numerous international juries and lectures globally on the works of BIG. 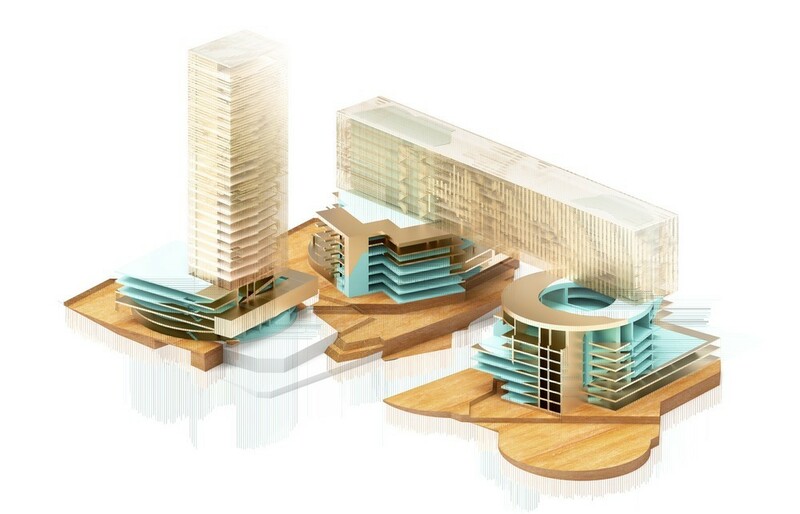 BIG – Bjarke Ingels Group is a New York and Copenhagen based group of architects, designers, builders and thinkers operating within the fields of architecture, urbanism, research and development. The office is currently involved in a large number of projects throughout Europe, North America, Asia and the Middle East. Recently completed projects include the Danish Maritime Museum (2014), Superkilen Park (2013), Gammel Hellerup Multi-Use Hall (2012), Danish Pavilion at the Shanghai World Expo (2010) and The 8 House (2010). Zachary Tate Porter is an educator, designer, and historian based in Los Angeles. His research focuses primarily on the relationship between building and ground within modern and contemporary architecture. Porter’s PhD dissertation, “Shifting Grounds of Architectural Practice: Boundary Conditions and Field Formations in the U.S. Design Professions,” analyzes the ways in which professional jurisdiction shaped conceptions of landscape and site within American architectural practice during the late nineteenth and early twentieth centuries. As the 2015 – 2016 Design of Theory Fellow at SCI-Arc, Porter edited the school’s online journal, Offramp. His work has been featured in gallery exhibitions, art magazines and online publications, such as The Draftery and Better Magazine. Porter currently teaches at the School of Architecture at the University of Southern California. Enrique Norten, Hon. FAIA, was born in Mexico City where he graduated in1978 from the Universidad Iberoamericana with a degree in architecture. He obtained a master of architecture from Cornell University in 1980. In 1986, he founded TEN Arquitectos (Taller de Enrique Norten Arquitectos) in Mexico City and in 2001 he opened his second office in New York. Since 1998, Norten has been the Miller Chair at the University of Pennsylvania, and has been a professor of architecture at Yale University, UCLA, USC, Michigan, SCI-Arc, Parsons, and Pratt Institute. He has held the Lorch Professor of Architecture Chair at the University of Michigan, the O’Neal Ford Chair in Architecture at the University of Texas at Austin, and has been the Eliot Noyes Visiting Design Critic at Harvard University and the Distinguished Visiting Professor at Cornell University. He is a regular member for the Holcim Foundation Awards for Sustainable Construction, the Deutsche Bank’s Board of Trustees and the Zumtobel Group Award for Sustainability and Humanity in the Built Environment. Norten was the first Mies van der Rohe Award recipient for Latin American architecture in 1998. In 2005, he received the “Leonardo da Vinci” World Award of Arts by the World Cultural Council and in 2007 he obtained the “Legacy Award” from the Smithsonian Institution for his contributions to U.S. arts and culture. Josep Miàs has been principal of award-winning practice Miàs Architects in Barcelona since 2000, committed to research and experimentation, and new approaches to technology, fabrication and construction. Known worldwide for works such as Fontanals Golf Club, Banyoles City Center Urbanization, Barceloneta Market, 22@Plug-in Barcelona Building, iGuzzini Barcelona Corporate Building among others. Winner of National and International Awards highlighting International Stone Architecture Award, A+Architizer Award, Archdaily Building of the Year Award, A+ Architecture Best Spanish Educational Facility Award, Catalonia Construction Award, City of Barcelona Architecture and Urbanism Award, Girona Architecture Award and Best Young Catalan Architect Award. Shortlisted at WAF Singapore Best Building of the Year Award. Nominated at European Union Prize for Contemporary Architecture Mies Van der Rohe Award. Finalist at Plataforma Arquitectura Work of the Year Award, European Prize for Public Space, European Landscape Prize, Decade Prize, and FAD Award. Recognition for International Relevance by AIA NYC, COAC and BarcelonaTech UPC. Works published and exhibited internationally in Barcelona, Madrid, Paris, Frankfurt, Zurich, Berlin, Kiev, London, São Paulo, Venice, Belgrade, NYC, Philadelphia and Singapore among others. Lecturer and guest critic in many international universities and Visiting Professor at Städelschule Frankfurt and Harvard Graduate School of Design in Cambridge. Currently Professor at ETSAB Barcelona, and visiting professor at UNISS Alghero and Bartlett UCL London. 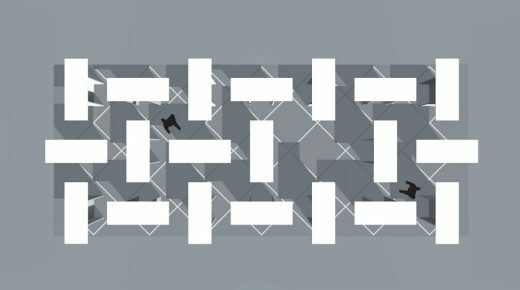 A juried exhibition of exceptional thesis projects by 2016 graduates, featuring the 2016 Gehry Prize winning thesis, and a selection of the best graduate thesis projects, will be on view in the SCI-Arc Gallery, September 23 – October 2. When the Basento Bridge opened to the public in 1976, it was greeted with mixed reaction. Praised by some for its elegant shape and innovative design, the bridge was condemned by others for being overly indulgent and unnecessarily complicated. At a time when there was virtually no substantive design conversation about infrastructure’s social value beyond utility, structural engineer Sergio Musmeci and his partner, architect Zenaide Zanini, conceived a provocative project mindful of environmental equity. Now, as design discourse turns its attention to infrastructure’s civic and social role in cities, cultural activist Victor Jones triggers a reassessment of the Basento Bridge and how its formal “imposition” – derived from soapy film and bubbles – is not only straight to the point but affirms notions of socially-minded and aesthetically-driven infrastructure. Jones’s mise-en-scène of artifacts and drawings alongside images by architectural photographer Hélène Binet capture a glimpse of the bridge’s daring ambition. Los Angeles, CA (June 1, 2016) – SCI-Arc is pleased to announce the launch of a new scholarship for European architects eager to expand their knowledge of contemporary architecture. The SCI-Arc European Union 2016 Scholarship will cover the full cost of tuition for SCI-Arc’s 2-year Master of Architecture program at the SCI-Arc campus in Los Angeles. As SCI-Arc’s international presence expands, the school is thrilled to enable top talent from Europe to study at SCI-Arc in LA. Eligible candidates must demonstrate citizenship of any of the 28 countries within the European Union along with proof of having earned an undergraduate degree that is equivalent to the United States’ undergraduate degree in architecture. A professional Master of Architecture degree, SCI-Arc’s M.Arch 2 program is specifically designed for students who hold an undergraduate degree in architecture and are looking to focus their architectural education on contemporary tools, techniques, and technologies and to expand their experience in digital design, fabrication, and critical thinking. M.Arch 2 design studios propel advanced design exploration and offer students an educational model that promotes close collaboration with a team of distinguished faculty and critics including Hernan Diaz-Alonso, Elena Manferdini, Tom Wiscombe, Eric Owen Moss, Thom Mayne, Marcelyn Gow, Marcelo Spina, and Peter Trummer. SCI-Arc is an internationally-renowned school of architecture that draws over half of its student population from over 46 various countries. The SCI-Arc European Union 2016 Scholarship is part of a school-wide effort to draw upon SCI-Arc’s international reputation and bring together talented architects from around the world by financially supporting them to push the boundaries of architecture. Additional information on SCI-Arc’s M.Arch 2 program can be found on SCI-Arc’s official website here. For scholarship requirements, guidelines and application information, please visit the scholarship webpage on the SCI-Arc website here. All applications for the scholarship will be reviewed by Hernan Diaz Alonso (SCI-Arc Director), Elena Manferdini (Graduate Program Chair) and one guest juror. The deadline to submit all application materials for the SCI-Arc European Union 2016 Scholarship is June 30, 2016. LOS ANGELES, CA (April 26, 2016) – SCI-Arc is pleased to present Joe Day/deegen-day design: ARRAYS, opening June 3 in the SCI-Arc Library. ARRAYS collects over three dozen maps and diagrams developed by Joe Day and his practice deegan-day design over the last two decades. Many chart a domain within the field – contemporary architecture in Los Angeles, digital vanguard possibilities, the interests of his SCI-Arc colleagues. Others explore the neighboring disciplines of fine art, urbanism and cinema. Some imagine cross-pollinations between those worlds. Combining the methods of Charles Jencks and Rosalind Krauss, Day deploys a wide array of timelines, scenario planning “quads” and Expanded Field diagrams to draw connections between disparate projects and actors. Many resemble complex games of tic-tack-toe, cat’s cradle, or target practice. Building on Day’s more general interest in vision and architecture, these arrays are themselves exercises in envisioning and redefining the various contexts in which he works. Joe Day is a designer and architectural theorist in Los Angeles, where he leads deegan-day design and serves on the design and history/theory faculty at SCI-Arc. In both his design and writing, Day examines the intersections of contemporary art, urbanism and architecture as visual disciplines. In addition to frequent publication of his design work, Day’s critical writing has been featured in journals including Architecture magazine, Interior Design, LoudPaper, Deutsche Bauzeitung and Architecture and Urbanism in Latin America, as well as in surveys including Sessions (SCI-Arc, 2005) and Evil Paradises (New Press, 2007). He edited an AIA award-winning monograph of Frank Israel (Rizzoli, 1992) and contributed an additional forward to the 2009 edition of Reyner Banham’s seminal study, Los Angeles: Architecture of the Four Ecologies (University of California Press, 2009). In the spring of 2012, he taught at Yale School of Architecture as the Louis I. Kahn Visiting Chair. Day’s recent Corrections and Collections: Architectures for Art and Crime (Routledge Press, 2013), explores new polarities in contemporary architecture and urbanism. Current projects include a Media Center at Columbia College Hollywood and residential work throughout southern California. 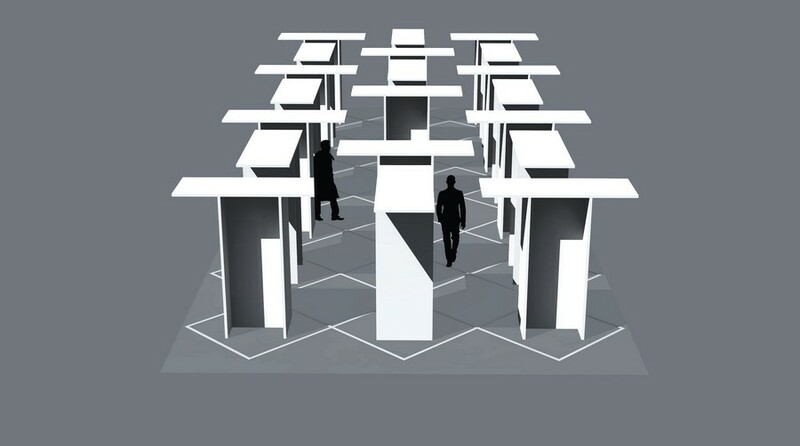 The Southern California Institute of Architecture (SCI-Arc) is pleased to present Hypostyle, a site-specific SCI-Arc Gallery installation by architect Henry N. Cobb. 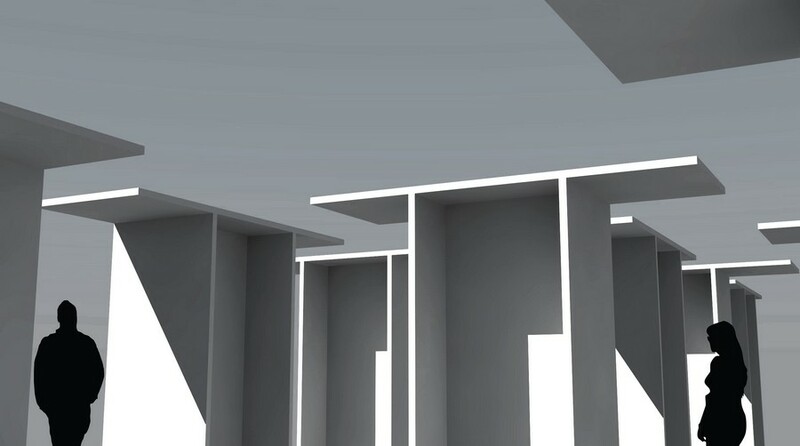 Since time immemorial, hypostyles have been constructed as halls wherein highly ordered arrays of vertical supports populate roofed spaces that are conceptually limitless—but to widely varying effect. In the Great Hall of the Temple of Ammon at Karnak (1408-c.1300 B.C. 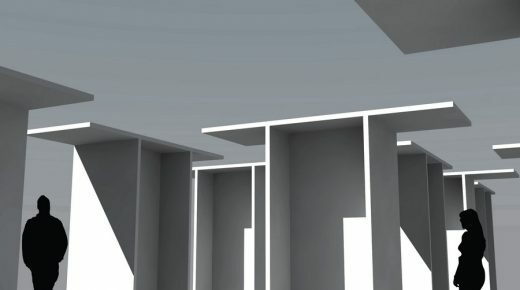 ), massive columns take preemptive pride of place within a space that is consequently experienced as entirely residual. By contrast, in the Great Mosque at Cordova (786-c.1000 A.D.), tiered arches supported by relatively slender columns grant primacy to a lofty space ennobled by their intricately contrived celebratory presence. More ambiguously, in the Basilica Cistern at Istanbul (532 A.D.), space and structure achieve an uncanny balance that stirs both wonder and apprehension. And in the Grain Storage Warehouse at Altdorf (1912 A.D.), the flared heads of Robert Maillart’s octagonal columns induce an altogether thrilling sense that the space has been created by compressing what had once been a solid block of concrete into a forest of slender vertical supports. The hypostyle in this SCI-Arc Gallery installation is an experiment. Far from being intended to demonstrate or test a general theory, its purpose is simply to discover the experiential consequence of populating a hypostyle not with columnar solids but with planar elements joined to form vertical constructs that shape figural spaces both within and between them. 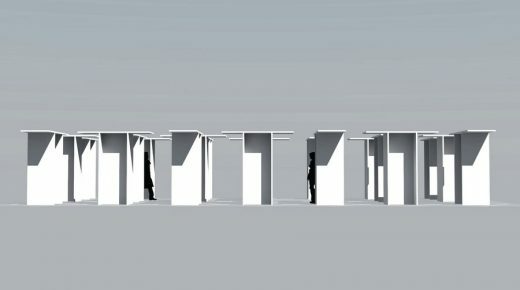 Each of the twenty constructs comprising the installation is composed of four 3-foot by 8-foot 1-3/4-inch thick hollow-core doors: three joined to form an H-shaped vertical that is then capped by a fourth roofing the space below. Rotation of the constructs in alternating rows sequentially in both directions introduces a larger-scale order, further enhancing a complex interplay that blurs the distinction between solid and void, open and closed. One construct in the center row is omitted to create a gathering space within an otherwise uninterrupted array. A hypostyle thus constituted is without precedent, and its effect on the occupant cannot be fully predicted by drawings: it must be experienced. 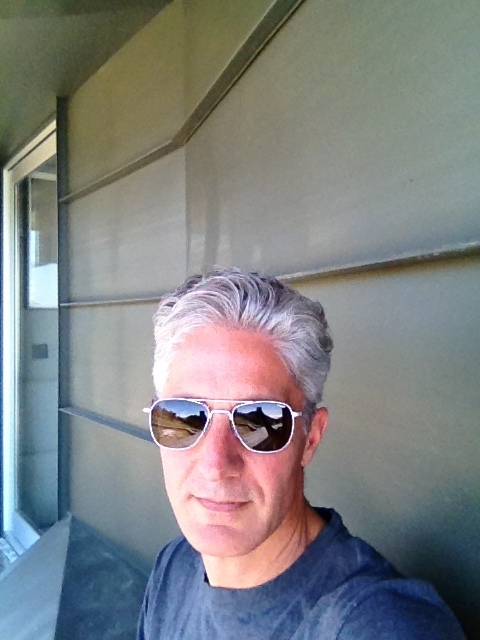 Henry N. Cobb is a founding principal of Pei Cobb Freed & Partners Architects, based in New York City. During the six decades since his firm was established in 1955, his practice has embraced a wide variety of building types in cities across North America and around the world. Throughout his career, he has coupled his professional activity with teaching, most intensively during a five-year term (1980-85) as Studio Professor and Chairman of the Department of Architecture at the Harvard Graduate School of Design, where he continues to teach occasionally as a visiting lecturer. He is a recipient of the Gold Medal for Architecture, awarded by the American Academy of Arts and Letters, and the Topaz Medallion for Excellence in Architectural Education, awarded jointly by the American Institute of Architects and the Association of Collegiate Schools of Architecture. Installation project manager and SCI-Arc faculty member John Southern is the principal of Urban Operations, an architecture and research firm based in Los Angeles, California. The office specializes in both architecture and installation projects that expand critical discourse within the design profession. Through its research division, Urbanops.org, Urban Operations explores a wide variety of themes within contemporary discourse and produces publications that reveal and critique architecture’s cultural impact upon the built environment. 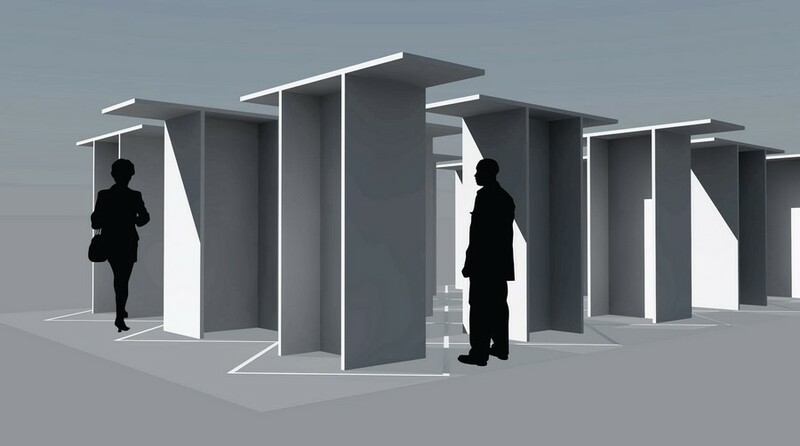 The firm’s research projects and built work have appeared in exhibitions and publications around the world, including the 2012 Venice Biennale. SCI-Arc is pleased to welcome Los Angeles Mayor Eric Garcetti and architect Greg Lynn of FORM as commencement speakers at the school’s graduation ceremony taking place on Sunday, September 7. Ceremony will be broadcast live at www.sciarc.edu/live. Sunday, Sept. 7 5 p.m. – 7 p.m.
SCI-Arc’s Graduate Thesis Weekend & Graduation Ceremony will take place September 5-7, 2014 on the architecture school’s campus in downtown Los Angeles. The three-day event features thesis projects designed by close to one hundred graduate students who will present their designs to critics from around the world. Event will culminate in an all-school commencement ceremony for the undergraduate and graduate Class of 2014, featuring Los Angeles Mayor Eric Garcetti and architect Greg Lynn of FORM as commencement speakers. 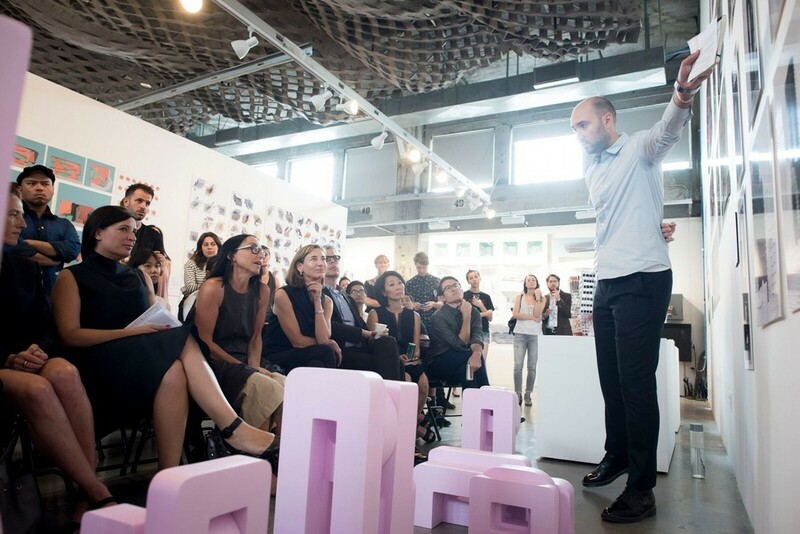 Los Angeles, CA (December 11, 2013) – The Southern California Institute of Architecture (SCI-Arc) is pleased to announce its Spring 2014 schedule of public lectures, discussions and exhibitions. 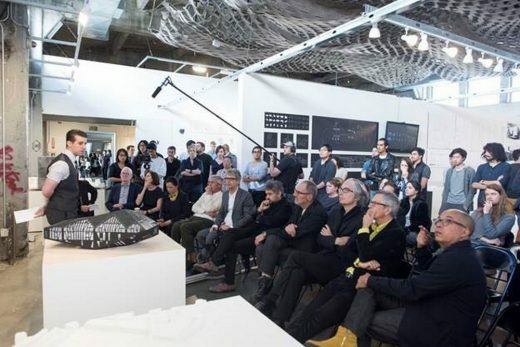 The downtown LA architecture school’s highly anticipated series of public events provides audiences with access to award-winning architects, urban historians, artists, designers, curators, writers, scholars, and other cultural figures. Upcoming programs span from innovative theory to contemporary architecture, technical practice, writing, and urban planning. Admission to SCI-Arc-hosted public events and exhibitions is always free and open to the public. All events begin at 7pm unless otherwise noted. Lectures takes place in the W. M. Keck Lecture Hall and are broadcast live on www.sciarc.edu/live. Gallery discussions and opening receptions are held in the SCI-Arc Gallery. For additional information including lecture updates and gallery hours, please visit www.sciarc.edu. Barry Bergdoll is the Meyer Schapiro Professor of Modern Architectural History at Columbia University and a curator in the Department of Architecture and Design at the Museum of Modern Art, where from 2007-2013 he served as The Philip Johnson Chief Curator of Architecture and Design. At MoMA, he has organized, curated, and consulted on several major exhibitions of 19th and 20th-century architecture, including last year’s “Le Corbusier: An Atlas of Modern Landscapes” with Jean-Louis Cohen and “Henri Labrouste: Structure Brought to Light” with Corinne Bélier and Marc LeCoeur. He served as President of the Society of Architectural Historians from 2006-2008, Slade Professor of Fine Art at Cambridge University in winter 2011, and in 2013 delivered the 62nd A.W. Mellon Lectures in the Fine Arts at the National Gallery of Art. He is a member of the American Academy of Arts and Sciences and an honorary fellow of the Royal Institute of British Architects. Antoni Vives currently serves as Deputy Mayor of Barcelona, where his vision for the next generation “smart city” is redefining the city’s approach to urbanism, infrastructures, environment and urban services. An influential thinker and city planner, he plays a significant role in Barcelona’s long-term efforts of repositioning itself within the global economy. In his role, Vives oversees Urban Habitat, an area that includes urbanism, town planning, housing, infrastructures, environment and urban services and ICT. He is also Vice President of the Barcelona Metropolitan Area and Counselor for the City District of Les Corts, and serves as Senior Advisor for the Prince of Asturias Professorship of Spanish Studies of the London School of Economics. 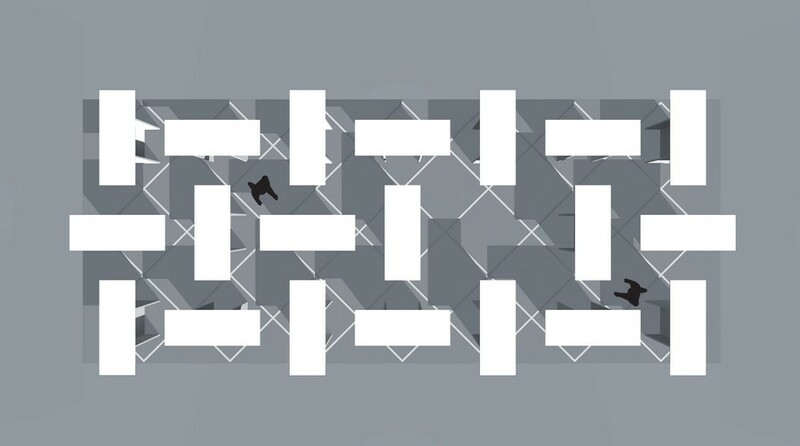 The Figure Ground Game, a multi-media, multi-disciplinary romp, draws upon animation, film, computer games and art to reaffirm and amplify architecture’s ongoing speculative contest with instantiated power staged on the ground. Not an exhibition, but rather a curated show, the Figure Ground Game features the work of a half-dozen architects, painters, a sculptor and more, all related to one another by a desire to mine the tradition and history of figurality in the arts as it has been inflected in recent years by technology, media and the discourse of enfranchisement in order to rethink the consequences of the building-ground relationship a step or two further. Among the conjectures foregrounded in the show are new building postures, co-dependent structures, non-local contextualism, and perhaps most important of all, an assertion of a desire to see comedy achieve an equivalent status to tragedy in architecture, as it has for centuries in all of the other arts to the profound increase in their powers and the resultant existential benefit to each and all of us. The SCI-Arc Library presents an installation of Florencia Pita’s work, UMMA Table & Objects, originally commissioned by Museum Director Joseph Rosa for the University of Michigan Museum of Art. The installation explores the provocations and intersections of digital technology, material experimentation, and ornament in the work of Argentina-born, Los Angeles-based architect and designer. It traces the evolution of Pita’s design ideology through installation pieces, urban design, tableware, furniture, and architecture, as well as small adornments. 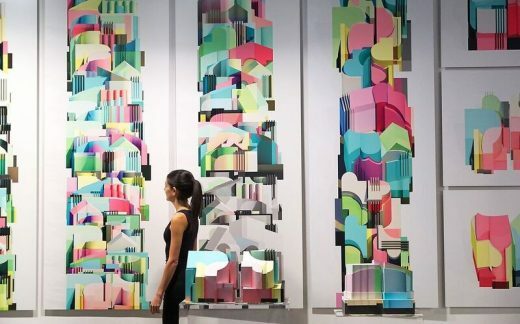 Her boldly colored works draw from literary, art, and biological sources; employ cutting-edge architectural fabrication techniques; and cross borders of visual art, architecture, and design. The works on view where displayed at the University of Michigan Museum of Art from January 19 to June 16, 2013, in an exhibition titled: Florencia Pita/ FPmod. The Umma Table and several objects here commissioned by Museum Director Joseph Rosa for Florencia Pita’s first retrospective exhibition. Apertures4 is part of an ongoing topic in the work of Herwig Baumgartner and Scott Uriu that challenges the notion of apertures as flat glazed openings and redefines it as three dimensional objects creating thresholds between interior and exterior. 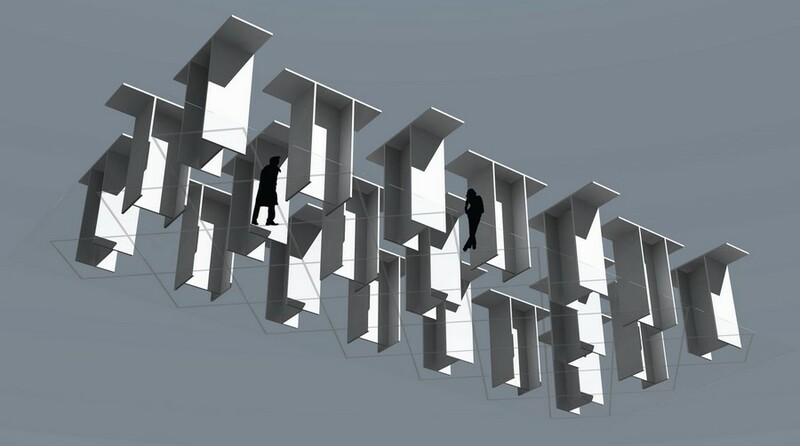 It thus confronts the idea of the static frame with edges that are always in flux and can respond to environmental forces, such as sun and wind, exploiting the latent potential of energetic exchanges between the natural and the built environment. 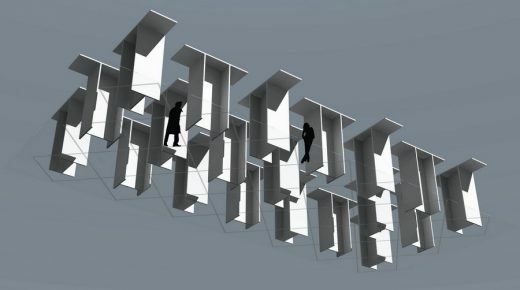 Apertures4 re-defines the DNA of the window in terms of function, components, appearance and materiality. In particular, it attempts to refine a current discourse of digital ecologies emphasizing an architecture in between nature and technology that can evolve into an interactive building organism. By using advanced silicone composites that allow a gradient of material properties within a single object, Apertures4 is able to respond to environmental forces without mechanical parts, creating a symbiotic relationship between nature, building morphologies and material expressions. Heather Flood is a designer of information, graphics, and architecture. In 2007 she founded F-lab, a form laboratory that focuses on the popular application of contemporary design and fabrication techniques. F-lab’s recent commissions include a retail expansion strategy and store prototype for a new frozen yogurt brand, the design and installation of an exhibition that showcased the work of 45 contemporary designers, and the design and fabrication of a winning scheme for the SCI-Arc Board of Directors conference table, dubbed CHUB. Prior to founding F-lab, Flood was a founding partner in the research and design firm HOLA. With HOLA, Flood completed projects for the Los Angeles office of TBWA/Chiat/Day, the New York office of Bartle Bogle and Haggerty, Nissan/Infiniti, CKOne, Coca-Cola, Samsung, the City of Chicago, Pitti Imagine Discovery, Yogini Apparel, and Soledad Enrichment Academy. LOS ANGELES—(November 20, 2013)—The Southern California Institute of Architecture (SCI-Arc) today announced that it will break ground on a technologically transformative new digital fabrication space that will ignite the kinds of innovation, entrepreneurship and out-of-the-box thinking that are the hallmark of a SCI-Arc education. Dubbed the Magic Box, the 4,000-square-feet, 2-story digital fabrication lab will be built at the south end of the SCI-Arc building and will connect to the school’s existing Robotics Lab and Analog Fabrication Shop to form the RAD Center—a one-of-its-kind, multi-dimensional facility providing access to several different methods of fabrication and assembly. The Magic Box will house three times as many high-speed laser cutters, 3D scanners and ABS plastic printers as are currently available to students and faculty. “With the new Magic Box, SCI-Arc enlarges its capacity to produce conceptual and technical magic,” says SCI-Arc Director Eric Owen Moss. The school is half-way through planning and on schedule to start construction in the beginning of 2014, and it looks like incoming students will walk through the doors of SCI-Arc’s quarter-mile-long building and into the new robotics, analog and digital fabrication space next fall. And what they’ll find will be impressive. Embracing and integrating the most up-to-date technologies from the moment they become available, the lab will allow students to build, vacuum form or 3D print their models to life using a wide array of materials, from wax to translucents, to plastic, to flexible materials, to metal. These models would then undergo further experimentation with the help of 6-axis robots, which have already been in use at SCI-Arc for more than 2 years. 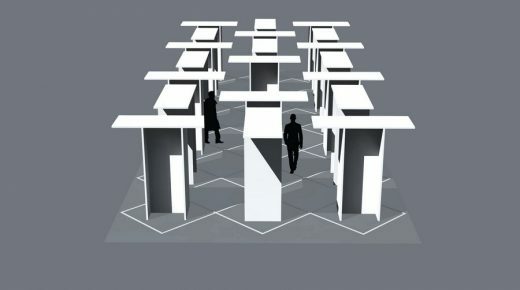 “By creating the Magic Box, SCI-Arc reinforces its most critical priority to prepare students to work with today’s most revolutionary technologies, in an environment designed for tomorrow’s world,” says SCI-Arc Director of Academic Affairs Ming Fung, who oversees new research initiatives for the school. SCI-Arc’s new Magic Box is being built for change in a world in which change is constant. Together with the revamped woodshop and existing cutting edge robotics lab, it will provide a one-of-its-kind platform for research, experimentation and prototyping. But most importantly, it is designed to shape-shift as new generations of students make the building their home and new technologies yield new approaches to teaching and learning. 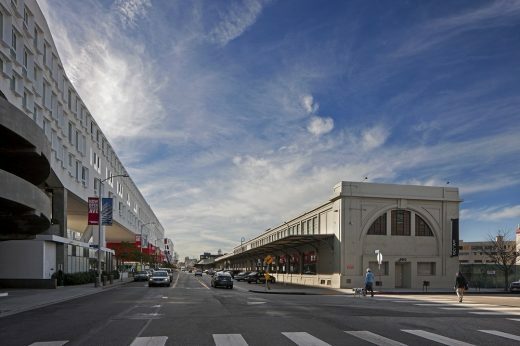 LOS ANGELES (September 18, 2013)—The Southern California Institute of Architecture (SCI-Arc) elected three new trustees to its ranks today: Richard Baptie, a Senior Vice President of Hathaway Dinwiddie and head of their Southern California office; Director and producer Tim Disney, a principal of Blu Homes; and urban strategist Enrique Peñalosa, formerly the mayor of Colombia’s capital, Bogotá. SCI-Arc’s Board is chaired by land-use attorney Jerry Neuman. It now includes 25 members, among them noted individuals such as Rick Carter, William Fain, Frank Gehry, Tom Gilmore, Thom Mayne, Kevin Ratner, and Ted Tanner. The SCI-Arc trustees unanimously elected Baptie, Disney and Peñalosa to the board at their quarterly meeting held September 18th on the school’s campus in downtown Los Angeles. Richard Baptie is a Senior Vice President and head of the Southern California office of Hathaway Dinwiddie Construction Company. He is currently the Principal-in-Charge of the Emerson College construction project in Hollywood and a large office complex for an entertainment company in Glendale, among other duties. He has been involved as a leader in many notable projects in Southern California including The Getty Center, The Reagan Library Air Force One Pavilion and the 2000 Avenue of the Stars project. Baptie joined Hathaway Dinwiddie in 1985, having studied Architecture at SCI-Arc. He received his Bachelor’s Degree in Economics from California State University, Los Angeles. Involved in the community, Baptie is on the Board of Directors of the Los Angeles Business Council, The Kidspace Museum, past President of the USC Architectural Guild and has served on the capital campaigns for the Music Center and the Downtown YMCA. Tim Disney has written, directed or produced 15 feature films, documentaries, and television programs. From 1992 – 2000, he served as Chairman and CEO of Virtual World Entertainment, a leading developer and operator of 3D gaming and simulation technology. Disney was a founding investor and currently serves on the Board of Directors of Blu Homes Inc., the leading manufacturer of green pre-fab housing. He also serves as President of The Rowena Group, a private investment firm, and as a Director of Shamrock Capital Advisors, a leading private equity investor in the fields of media, entertainment, and communications. A graduate of Harvard University with a degree in Fine Arts, Disney serves as a Trustee of California Institute of the Arts. He co-founded the international aid organization World Connect, and serves on the Board of several other charitable organizations. Enrique Peñalosa is an urban strategist whose vision and proposals have significantly influenced policies in numerous cities throughout the world. He currently is President of the Board of the Institute for Transportation and Development Policy of New York. As Mayor of Colombia’s capital city of Bogotá from 1998 to 2001, Peñalosa profoundly transformed the city, turning it into an international example for improvements in quality of life, public spaces, mobility and equity. He implemented a model giving priority to children and public spaces and restricting private car use, building schools and libraries in the poorest neighborhoods, as well as adding hundreds of miles of protected bicycle paths, sidewalks, pedestrian streets, bicycle highways, greenways, and parks. Peñalosa has lectured all over the world in governmental, academic and citizens’ forums, and his ideas have been featured in many of the world’s most important media. SCI-ARC PRESENTS “A CONFEDERACY OF HERETICS” SYMPOSIUM ON JUNE 14-15TH IN DOWNTOWN L.A.
LOS ANGELES – Hosted by the Southern California Institute of Architecture (SCI-Arc) as part of the Getty’s Pacific Standard Time Presents: Modern Architecture in L.A., the “A Confederacy of Heretics” exhibition related symposium offers a unique lens through which to analyze a pivotal moment in the development of late 20th century architecture. The two-day event features a roundtable conversation with original Architecture Gallery participants, and panel discussions on exhibition related topics. Please RSVP to news@sciarc.edu to secure a spot. For more information, visit: http://bit.ly/sciarcheretics. 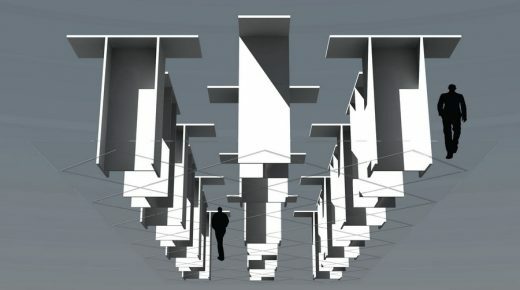 Los Angeles, CA – (May 28, 2013) – The Southern California Institute of Architecture (SCI-Arc) is pleased to announce Lebbeus Woods is an Archetype, an exhibition and public art installation assembled by an exhibition team including Hernan Diaz Alonso, Christoph A. Kumpusch, Dwayne Oyler and Alexis Rochas. Complemented by a symposium and catalog, this exhibition in the SCI-Arc Gallery and related large-scale public art installation in the Arts District’s Bloom Square, aims to demonstrate the fearless nature with which the late visionary architect and draftsman created. Three blocks away from its campus in the Los Angeles Arts District, SCI-Arc will complete Woods’s Earthwave, an “inhabitable drawing” originally designed, but never built, for the 2009 Biennale of Architecture and Art of the Mediterranean in Reggio Calabria, Italy. Earthwave was one of twenty drawings that reinterpreted area buildings destroyed in the 1908 Messina earthquake. The temporary 18’x 18’, two-and-a-half-ton steel structure built by SCI-Arc is set to be unveiled on June 28. It includes four parallel steel frame “swarms,” each frame penetrated by a dense field of steel vectors, using the urban Arts District as a backdrop for Woods’s dystopian vision. 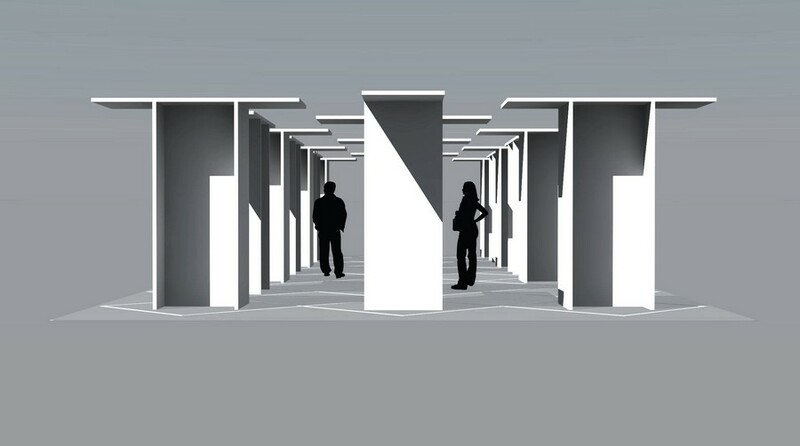 The public will be invited to conceptually inhabit the sculpture in a 1:1 scale, giving the piece a new dimensionality and relating back to the 2-D and 3-D nature of the project. The SCI-Arc Gallery component of Lebbeus Woods is an Archetype, opening October 11, will include several original, rarely seen Woods drawings from private collections, and most notably, recently uncovered video footage from a 1998 interview recorded in Vico Morcote, Switzerland, then part of a SCI-Arc European campus program. The video articulates Woods’s philosophy and the forces and influences which shaped his thinking, including the work of Heinz von Foerster and the systems-thinking theory of Cybernetics. A public symposium on opening night will feature a panel of young architects who will discuss Woods’s influence on their generation. Support for Lebbeus Woods is an Archetype provided by Angel City Brewery. Additional assistance provided by the MAK Center Los Angeles, LADADspace and LARABA. Earthwave project team: Adam Orlinski, Ali Fouladi, Ryan J. Simons, William Orlando, Carlos Rodriguez, Cecil Barnes, Joe Jacobson. LOS ANGELES (April 11, 2013) — The Southern California Institute of Architecture (SCI-Arc) today announced that the Association of Collegiate Schools of Architecture (ACSA) designated Hsinming Fung, SCI-Arc’s Director of Academic Affairs, as president-elect of the prestigious organization representing accredited architecture colleges nationwide. The appointment recognizes Fung’s leadership and forward-thinking vision in today’s rapidly shifting political and economic context that has brought about profound changes in architecture education. Fung will serve on the ACSA Board for a three-year term, beginning on July 1, 2013, with the first year served as Vice-President, the second as President, and the third as Past President. In her role, Fung will be part of a variety of ACSA committees, including Finance and Publications, will head the committees for Scholarly Meetings and Planning, and will nominate the chairs of ACSA conferences to be held during her term as President. Committed to architectural education for nearly thirty years, Fung was appointed Director of Academic Affairs at SCI-Arc in 2010, after eight years of teaching and serving as the school’s Director of Graduate Programs. Previously, she has taught at California State Polytechnic University, Pomona, for 16 years, with stints at Yale University as the Eero Saarinen Professor in 1995 and 2000, and at Ohio State University as Herbert Baumber Professor in 1996. An AIA registered architect, Fung is principal and Director of Design for the renowned Los Angeles-based architecture firm Hodgetts+Fung (H+F). Since founding H+F in 1984 with partner Craig Hodgetts, FAIA, she has overseen the design of distinguished projects such as the renovated Hollywood Bowl, the Menlo-Atherton Performing Arts Center, the Wild Beast Pavilion at California Institute of the Arts, and a host of other influential designs. Current projects include renovation of the historic Robert Frost Auditorium in Culver City, the Rosa Parks Metro station, a mixed-use development in West Hollywood, the Chapel of the North American Martyrs at Jesuit High School in Sacramento, and the Diamond Head Theatre in O’Ahu. Fung’s studio has also earned a reputation for high-caliber exhibition design through such installations as the Library of Congress/Ira Gershwin Gallery at Walt Disney Concert Hall, and the landmark exhibitions Blueprints for Modern Living: History and Legacy of the Case Study Houses, The Work of Charles & Ray Eames, and most recently at LACMA, California Design, 1930-1965: “Living in a Modern Way.” The firm also received numerous prestigious awards, including the Fellowship Architecture Award, the Gold Medal from the AIA/LA, the AIA California Council Firm of the Year Award, the GSA Design Excellence Award, and most recently, the R+D Award for their innovative fiberglass roof design for LAUSD modular classrooms. Los Angeles (September, 2012) — The Southern California Institute of Architecture (SCI-Arc) today announced it has received a transformative $100,000 gift from world-renowned architect and SCI-Arc trustee Frank Gehry, and his wife, Berta. The noteworthy contribution will go toward the establishment of the Gehry Prize, to be awarded annually to the best thesis projects selected by critics and jurors in the Graduate Thesis Weekend hosted in September. 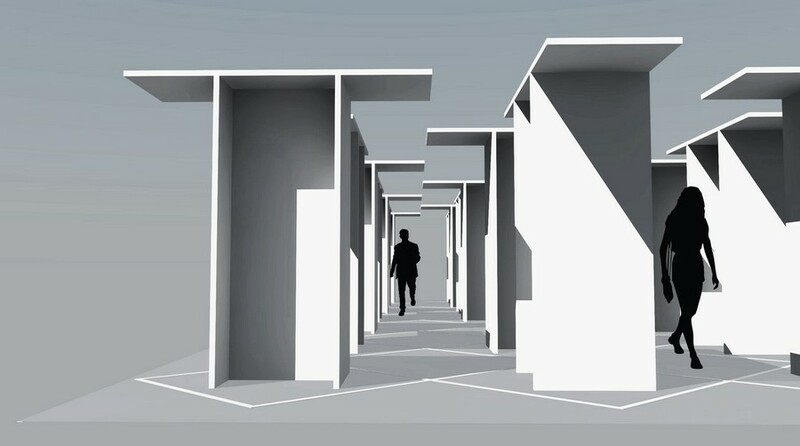 Los Angeles, CA (May 1, 2012)—The Southern California Institute of Architecture (SCI-Arc) is pleased to present “Yevrus 1, Negative Impression,” an installation designed for the SCI-Arc Gallery by alumni Benjamin Ball (B.Arch ‘03) and Gaston Nogues (B.Arch ‘94) of Los Angeles-based Ball-Nogues Studio, opening June 1 at SCI-Arc. Constructed from non-architectural artifacts, Yevrus 1, Negative Impression is a disposable architecture of literal references that calls into question the contemporary architectural vogue for digital complexity and abstraction. The cast impressions of 1973 Volkswagen Beetles and speedboats unite to form a strong structural whole that serves as a lookout tower in the SCI-Arc Gallery. The designers chose the individual components from within the Los Angeles suburban-scape for their iconic and structural potential, as well as their availability. Once chosen, the parts were digitally scanned in three dimensions and cast in biodegradable paper pulp using a proprietary technique the studio refers to as a “Yevrus”—the word “Survey” spelled backwards. With this work, the first in a series of experimental Yevrus projects, Ball-Nogues rethinks the purpose of the site survey. No longer seen as a simple tool for construction and engineering, the survey becomes an instrument for finding form, seeking structural stability and realizing iconic meaning. The 25-member SCI-Arc Board is chaired by land-use attorney Jerry Neuman, who stated “At the center of SCI-Arc are creativity and an enduring ability to challenge convention and change it for the better. Our two new trustees personify these core values, bringing an incredible amount of expertise, vision and leadership to the board and our school. We are pleased to welcome them to the SCI-Arc community.” The SCI-Arc Board includes noted individuals such as Frank Gehry, Thom Mayne, Ted Tanner, Kevin Ratner, Tom Gilmore and Rick Carter. The trustees unanimously elected Scheuer and Sher at their quarterly meeting held April 13 in Los Angeles. Abigail (Abby) Scheuer received her Master of Architecture from SCI-Arc in 1993. While in school, she interned with architect Peter Eisenman and SCI-Arc founding faculty Ray Kappe. Upon returning to New York, Scheuer worked for the architecture firm Perkins Eastman, then at a boutique firm specializing in high-end residential projects. In 1997, she co-founded Atema Scheuer Design with fellow alumnus Ate Atema (M. Arch ‘93); their firm focused on commercial and residential projects. During this time, she was a member of the Women in Architecture and Housing Committees of the AIA NY chapter. With the birth of her daughter, Scheuer became a full time mother and focused on fundraising, advocacy and community outreach. She is on the board of KiDS of NYU Medical Center Foundation; on the advisory board—and recently nominated to join the board of directors—of the Jazz Foundation of America; is a member of the Natural Resources Defense Council (NRDC) New York Council, and of the Studio Partners Leadership of Studio in a School, which supports visual arts programming in NYC public schools; and co-founded Green Team in collaboration with NYC Partnerships for Parks and the Lower East Side Ecology Center. Scheuer has served on the SCI-Arc Alumni Council since 2010, recently co-hosting the Alumni and Friends New York event at the Museum of Modern Art, and the Alumni and Friends Los Angeles event at the L House in Culver City. Abby Sher grew up in Los Angeles in a house designed by mid-century modernist architect Douglas Honnold, and from an early age architecture has been an important influence in her life. Sher studied French Literature at UCLA, followed by a Masters degree in Liguistics. Later, while working as a Clinical Linguist at the UCLA Neuropsychiatric Institute, she authored the Diagnostics Specifications Manual (DSM) III category “Elective Mutism.” In the 1980s, Sher developed Edgemar on Main Street in Santa Monica. Under her guidance, the Edgemar Farms egg-processing plant was transformed into an inventive mixed-use center designed by SCI-Arc trustee Frank Gehry. Sher enjoys a wide range of interests that have found expression in a variety of diverse and imaginative projects. Her creative pursuits have included making an award-winning documentary film about the Pacific Northwestern woodsman and artist Dudley Carter (1891-1992); founding the Santa Monica Museum of Art as part of the development of Edgemar; performing the political performance art piece A Red Line Connects Us for six months in 2006, and writing an accompanying blog; and performing the Ramayana at REDCAT in 2010 with the CalArts Balinese gamelan group, Burat Wangi. Sher has served on the boards of several social justice, social service and homelessness organizations including Chrysalis, the Liberty Hill Foundation, the Westside Family Health Center, and The Shefa Fund. 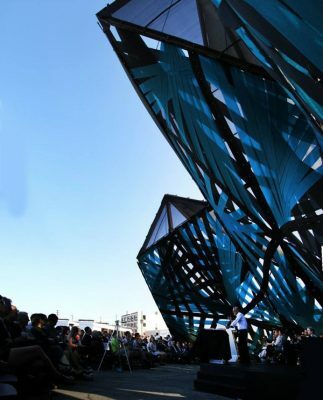 She is interested in contemporary “new music” and provided the lead gift and name for the CalArts outdoor music pavilion, The Wild Beast, designed by Hodgetts + Fung. LOS ANGELES, CA (February 2, 2012)—The Southern California Institute of Architecture (SCI-Arc) today announced it has elected Academy Award winner Rick Carter to join its Board of Trustees. The 23-member SCI-Arc Board is chaired by land-use attorney Jerry Neuman, who stated “At the center of SCI-Arc is creativity and an enduring ability to challenge convention and change it for the better. Rick is the personification of these core values. He brings an incredible amount of expertise, vision and leadership to the Board and our School.” The SCI-Arc Board includes noted individuals such as Frank Gehry, Thom Mayne, Ted Tanner, Kevin Ratner and Tom Gilmore. The trustees unanimously elected Carter during their quarterly meeting held January 19-20 in Los Angeles. Born in 1950, Rick Carter grew up in Los Angeles surrounded by the movie industry—his father was a publicist for the actor Jack Lemmon—but took a while to come to the world of film himself. He entered the art department for the first time as an assistant on Hal Ashby’s “Bound for Glory” in 1976, followed by “The China Syndrome” in 1979. His first credit as art director was with Ashby again on “Second-Hand Hearts” (1981), but art directing “The Goonies” in 1985 was a pivotal job, however, as it led to another key meeting for Carter—with that film’s writer and producer, Steven Spielberg. Working on the second unit together, the two hit it off and began a close working relationship that endures to this day. While Carter’s first credit as production designer was on Francis Veber’s “The Three Fugitives” (1985), it was Spielberg’s TV series “Amazing Stories” (1985-86) that cemented their relationship and also led to an encounter with Robert Zemeckis. Carter proceeded to work solely with Spielberg and Zemeckis for the next 20 years, on everything from “Back To The Future II and III” (1989 and 1990), “Death Becomes Her” (1992) to “Jurassic Park” and its sequel (1993 and 1997), “Forrest Gump” (1994), “Amistad” (1997), “What Lies Beneath” (2000), “Cast Away” (2000), “A.I. : Artificial Intelligence” (2001), “The Polar Express” (2004), “War of the Worlds” (2005) and “Munich” (2005). Carter then took up the three-year challenge that was the giant, ground-breaking production of “Avatar” (2009) for another Hollywood titan—James Cameron—and his most recent credits are “Sucker Punch” (for director Zach Snyder, 2011), Steven Spielberg’s “War Horse” (2011) and the director’s upcoming “Lincoln” (2012). Carter has been nominated twice for an Academy Award. The first time was for his work on “Forrest Gump” in 1994, and he won the Oscar for Art Direction for “Avatar” in 2010 (an honor he shared with Robert Stromberg). Los Angeles, CA – The Southern California Institute of Architecture (SCI-Arc), Caltech Institute of Technology (Caltech), global solar panel manufacturer Hanwha SolarOne Co., Ltd. (Hanwha Solar) and California Science Center are pleased to announce the unveiling of the SCI-Arc/Caltech Hanwha Solar CHIP House at the California Science Center in downtown Los Angeles. A ribbon-cutting celebration with Los Angeles Councilwoman and Mayoral Candidate Jan Perry, Director Eric Owen Moss of SCI-Arc, Caltech Resnick Institute Director Harry Atwater, California Science Center Deputy Director of Education Ron Rohovit, and Justin Lee, Chief Commercial Officer of Hanwha Solar, will be held Tuesday, January 17, at 2pm at the California Science Center at Exposition Park.